Learn with Greater Depth. Teach with Greater Impact. when and where it makes sense for you. 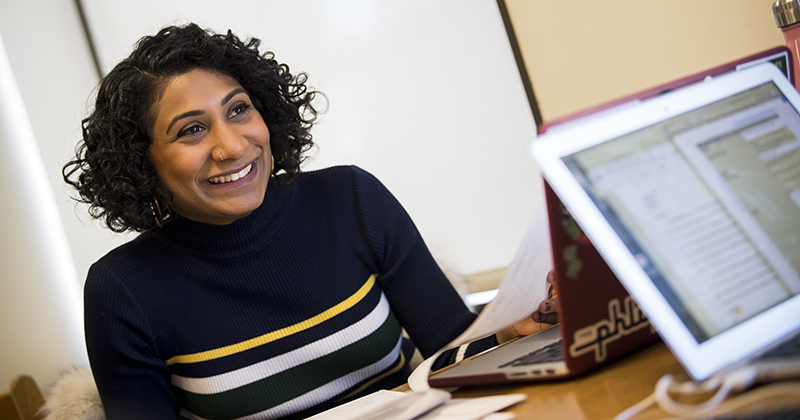 In a relaxed online format, you’ll hear from the director of your program of interest on the benefits of small class sizes, personal attention from experienced faculty, and active collaboration—all of which are characteristic of a Bank Street education and representative of the kind of classrooms our graduates go on to foster in their professional lives. Our Admissions team does more than just review your grades and test scores. In fact, they’ll want to know more about your past experiences and why now might be the right time for you to pursue a graduate school education. Learn more about our holistic approach, financial aid opportunities, and what you can do to stand out in the application process. Bank Street is an incredibly supportive environment. All of the faculty go above and beyond their responsibilities to help Bank Street College graduates reach their full potential in their respective areas of study. I wouldn’t be where I am today without having had the opportunity to immerse myself in learning, exploration, and deep conversation with colleagues and leaders in the field at Bank Street.